We've been learning Go in our lunch hours at Mergermarket for a number of months now, slowly but steadily getting a grip on the language by going through Go By Example, parts of The Go Programming Language, and other great resources. It's been fun, but nothing completely new to me. Until we started to play with channels. Have you ever played Portal, the first person puzzle game by Valve? they open, and you can go through one to come out of the other. This has many applications in the game. For instance, if you wanted to run around the same corner forever. Chase yourself down an infinite corridor. Or just wanted to experience sky diving from the comfort of your own room. 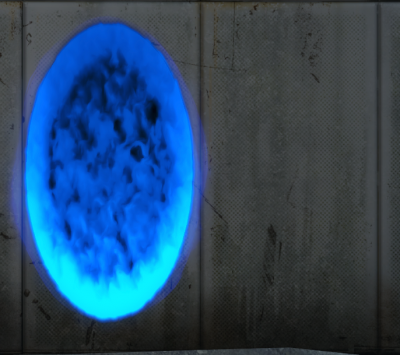 Sadly portals aren't available in the real world. Happily Go channels are. But saying put something in and out is a little misleading. We're not making a box, we're opening a portal! Think of channelForInts as your portal gun. It's all set up and ready to fire a new hole in reality. When you send the number through the channel, you're opening the portal at the same time. But here's the trick - you're opening a portal and sending/receiving at the same time. And this is where things can get messy. When we open the blue portal and send the 5 through it (when we run channelForInts <- 5), we haven't opened the corresponding orange portal (number := <- channelForInts on the next line). And so the 5 just bounces off the closed blue portal. But it's worse than that; Go just won't take no for an answer. It will keep trying to push that 5 through the channel over and over. The code is blocking until that 5 goes through. But it can never happen, we'll never get the orange channel open at the same time. Go is smart enough to know this has happened and so tells us - deadlock! And it's deadlocked on a chan send - the send cannot happen. 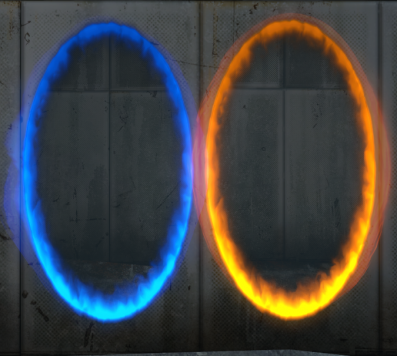 Unlike Portal, we can't open two portals and then walk through them. We need to open two portals and walk through them (or send an int even) at the same time. In order to do something at the same time as something else in Go, we use goroutines. In short, this means running another function at the same time as the code that it is called from. Go doesn't wait for the function to return, it just gets on with the next line of code. The other function is off roaming free - an entirely separate process. 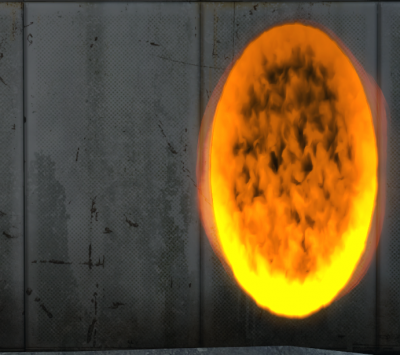 So let's try putting one of the portal openings into a goroutine so that it can happen at the same time as the other one. Even though number := <-channel and channelForInts <- 5 are blocking, it doesn't matter; they're occurring in two different processes (two different goroutines). At some point both of the goroutines - main and printIntFromChannel will reach the lines which send and receive through the channel - and that's where the magic happens. The stars align, the portals open and... the number five gets printed out. What's interesting about the above is that, not only did we communicate the number 5 between the two processes - we also, for one moment, managed to synchronize the execution of two independent processes. This is a powerful feature of channels in Go; it's what makes them more than just jumped up queues of data or shared arrays of memory. At the end of another Valve game - Half Life - the protagonist Gordon Freeman is placed in a transdimensional waiting room by a creepy interdimensional entity known only to fans of the game as 'The G-Man'. Just waiting for the beginning of the next game, Half Life 2. Not ageing, not changing, not visible - completely outside of time and space until it's time for him to wake up. Just like a buffered channel in Go. So far we've looked at unbuffered channels - to put something through them, both portals have to be open and waiting. 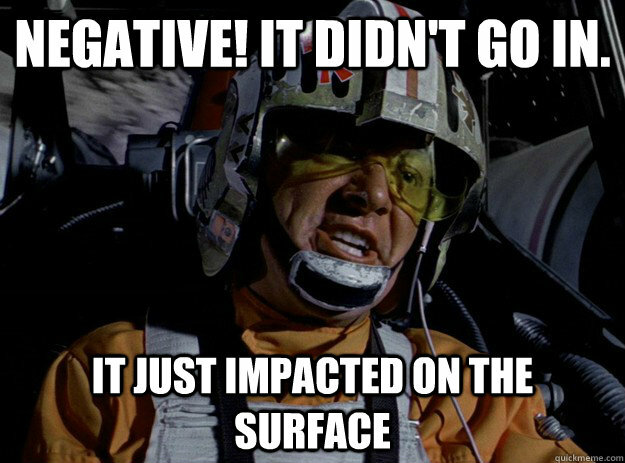 But we can make a channel with an internal buffer by supplying an extra argument. would make a channel of ints with a buffer of 3. So just what is a buffer? Think of it as a series of boxes just on the other side of the channel. Not literally on the other side - we know that the other side is just the orange portal (hopefully). Think of it as a series of boxes in a nowhere space - a transdimensional waiting room. What theses boxes let you do is send things into a channel without there being a way to get them out. we can see it all works just fine! This is because, when we send the 5 into the channel (channelForInts <- 5), the program does not block as there is space for the 5 in the buffer - one of the waiting rooms is empty, so the portal is open and the 5 flies straight in. Then, when we get to number := <- channelForInts, the five is waiting right there in the first waiting room, ready to fly out of the open orange portal. Some things to note here: the order is maintained in the buffer - not only are the numbers waiting, they are queuing up in this null space. But when the buffer gets full, the blue portal behaves like an unbuffered channel again and any further channel sends will block. Sorry, a bit off theme there. That just about wraps it up for buffered channels, and for Go channels in general too. While you could go about using a shared memory address to communicate between these goroutines (and Go will not only let you do it, but will also supply the tools), Go would much prefer you to use its channels to communicate over, using their properties to synchronize processes and, well, to share memory. This was a triumph. Go and play Portal now. The ending video is below so don't play it if you want to avoid spoilers. But definitely get yourself some cake.